I've had a lifelong affair with otak otak. Otak otak is spiced fish cake, steamed and grilled in banana leaves, and eaten (usually) with slightly spicy peanut sauce. My favorite otak otaks are the ones from Jakarta, and when my relatives come visit, I always ask them to bring me some, and an otak otak fest would proceed for 2 days! But now that I"m stuck in LA ... well, one of the best options seem to be Ramayani in Westwood. The dishes at Ramayani can be hits and misses, but this seems to be the case at all Indonesian restaurants. The 'sop buntut' here is not bad. My gotta-have dish is naturally the otak otak: At $7.50 for 10 pieces, these aren't cheap compared to back home (but what is?). The otak otaks though has the right consistency and texture, and *almost* the right flavor. More spice, grill it some more, and we'll be set. The peanut sauce is the problem here. Not spicy enough, not even peanut-y enough, this one actually tastes like it was partly made with peanut butter - a common practice here in the U.S.
With all that said, these are pretty tasty things and I urge you all to try them here at Ramayani. They can't compare to the ones back home, but what's an Indonesian girl stuck in LA to do? They're still really good and definitely worth a try! i can't believe u said something was "not spicy enough?" lol can't wait to try this. thanks so much for posting! Indonesian food in LA is pretty spread out though, from Duarte all the way down to Bellflower. Up for it? 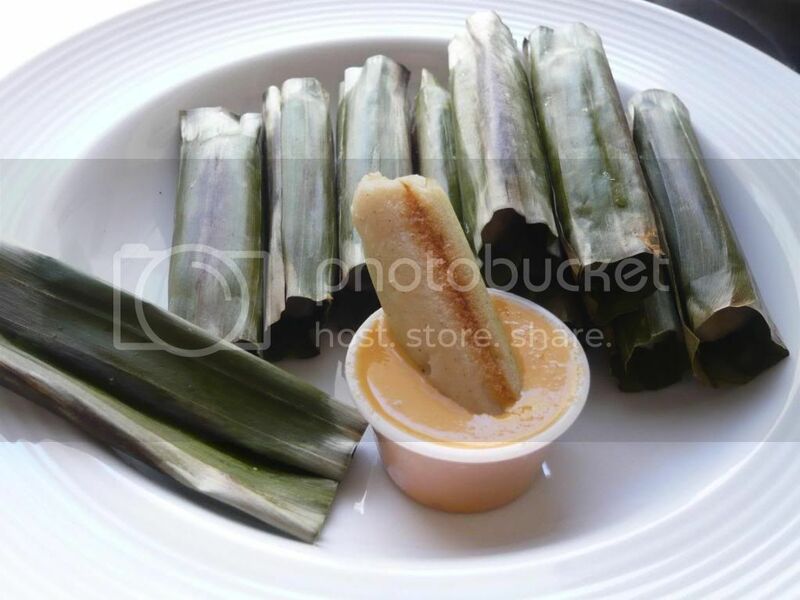 Totally craving otak otak now... I could eat them all day. New Functionality on Gourmet Pigs!